Wow, it's already New Year's Eve Eve! Christmas festivities are sadly winding down... Tomorrow, people will wait outside in the freezing cold to ring in 2018, and I'll be in my snug, warm house, probably curled up with Fitzgerald's Tender is the Night, thus attempting to relive a New Year's memory from three years back. Though surprising at times, 2017 has been a good year for me, and as someone who gets post-holiday blues, a book can help ease the transition into the next one. The Art of War would be better marketed today as "The Art of Problem Solving." As far as warfare goes, you won't find anything here that has not been amply represented in documentaries, novels, movies, and current events. I guess we are (morbidly) privileged in the 21st century to have seen Sun Tzu's advice played out, as well as ignored, in countless brutal conflicts, so reading this as a guide to war brings nothing new to the modern, armchair reader. It's mid-December already - can you believe it?! According to Goodreads, I read 36 books this year. (A couple of those were "did not finish"s, but apparently those count, too.) It was twice as much as I committed to, and I don't say that to brag; it was more of an accident than anything. You see, I started out the the year intending to read very specifically: learn to read French, read through the whole Bible, read longer books, read challenges, etc. I've mentioned earlier this year some lessons learned in this area, which pretty much explain my "reading schedule" (or lack thereof, as it turned out). A day late, but better late than never, right? This week's Top Ten Tuesday focuses on books that have "touched your heart and left you feeling SO thankful that it was written." Narrowing this down to ten classic fictional books has been even more difficult than it should probably be...but here goes! For as long as I can remember, Alice is a character I've identified with, in her search for home and logic in a place of strangeness and illusion. Carroll's witty silliness has forever influenced my own sense of humor and indirectly helped me become the "literary techie" I am. Let's not forget Tenniel, either, whose illustrations bring it all to (sur)reality! It doesn't get more signature than this. Melville chose interesting names for all the characters, not least of all the whale. The surest way to have a unique title is to use a word from your own fictional language! Alternatively, taking a nonfictional place and making it more "literary" also works. Probably my favorite book title of all time. He used "lighthouse" in a title before it was trendy. Going to follow Cirtnecce's example and update this post as often as possible. Stay tuned and check back! Well, I just finished Hero: The Life and Legend of Lawrence of Arabia, which I've been reading since June. His story always gets me... I got teary near the end. Two! But one of those involved 90 pages chock-full of history. My brain is swimming with information. I'm still looking forward to Bambi. ^_^ But The Lord of the World also intrigues me! No, it's been a blissful day at home. Once again, I'm gearing up for Dewey's 24 Hour Readathon, starting in five hours! I enjoyed this event so much last time that, as soon as I heard there was a fall edition, I put it on my calendar. It's not so much that I stay up the full 24 hours - no, indeed - but it's such a great, fun time to read a lot of different books and eat candy (oops). As before, I'll be posting updates to Instagram and Goodreads, as well as maybe some reviews here. Let me know if you're also participating! What better time to talk about The Wonderful Wizard of Oz? Most people are familiar with the film, having the somewhat abbreviated title of The Wizard of Oz. It was one of my childhood favorites, perhaps more so even than Mary Poppins, and I still love it. You'd have to be hardhearted not to at least sympathize with Dorothy's plight and desire to find home, after a gigantic cyclone tears her family apart and literally drops her in a strange, fantastical land. For my part, I've never stopped wanting a pair of ruby slippers (magical or otherwise). Exciting news in the literature world... today it was announced Kazuo Ishiguro won the 2017 Nobel Prize for Literature! As you may know from following me here and on Goodreads, I have great respect for Ishiguro as a writer. I do not agree with his outlook on all issues, and my reactions to his novels have ranged from jaw-dropping admiration and pure enjoyment to boredom and pure disgust. Nonetheless, he is a truly talented storyteller, who is not above using plain language to reach his readers. His genius lies in the fact that his simplicity of style never gets in the way of his subtlety or message. As a reader I am drawn into his world, and as a writer I remain in complete awe of his style. Kazuo Ishiguro is certainly a author of "axes" for frozen seas and, for the writing standard he sets, a worthy Nobel Prize laureate. Little Red Riding Hood meets classic Western - what a cool idea! I was excited to read Cloaked, because I love LRRH, and fairy tales and Westerns are two of the best storytelling genres out there. Since LRRH already has some Western elements (woods and wolves! ), I was curious how the two would merge in this retelling. The story begins with Mary Rose O'Brien boarding a stagecoach to visit her grandmother. Mary Rose is extremely nervous because she's never met her grandma Jubilee before, yet her parents are hoping that, by making a good impression, she will mend the long rift between Mary Rose's father and Jubilee. To make matters worse, her traveling companions are a rough-looking laborer and an over-friendly bookkeeper, and she is not sure she can trust either of them. Mary Rose is hoping for some adventures at her grandma's Wyoming ranch, but when she arrives, she has no idea just how exciting life there will be. After a long, hot, dry, allergy-stricken, wildfire smoke-infused summer, we are finally getting rain again, and I love it. Today I actually wore my thick cable-knit sweater, and my raincoat has seen a couple of outings, too. Fall means pumpkin-flavored treats, but (as importantly) it also brings cozy moments reading a book while listening to the rain or sitting by the fire. 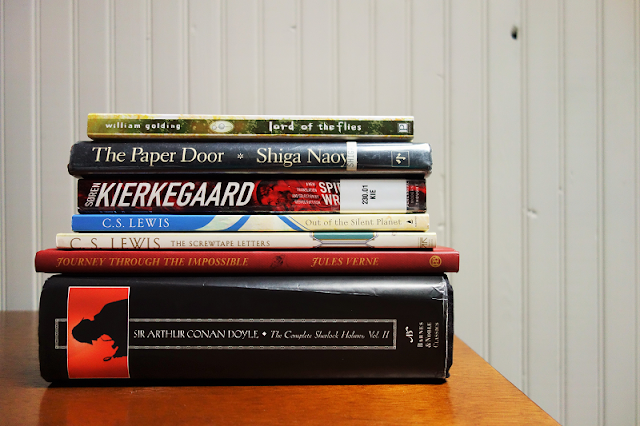 These are the top ten books I hope to read this fall - that is, if I can make it to ten! Maybe no other book screams "autumn" like this one. It's a re-read; I haven't read it since childhood. The movie is one of my all-time favorites! I was lucky enough to get an advanced reader copy of a new book by Hamlette, who blogs at The Edge of the Precipice. So far I'm heartily enjoying it! Tolkien Blog Party 2017 - Tag! 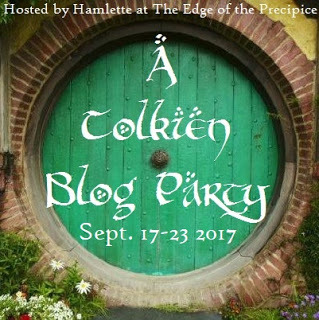 With Hobbit Day (Sep 22nd) rapidly approaching, I was excited to see that Hamlette is again hosting a Tolkien Blog Party this year! This will be my first time participating. Though I haven't often mentioned J. R. R. Tolkien here, I am a huge fan of The Lord of the Rings and The Hobbit. There is so much to unpack in Tolkien's universe of Middle Earth, and I find I discover something new every time. 1. How long have you been a Tolkien fan? Oh wow... it must be something like 9 or 10 years ago now! I played violin in a community orchestra, and we were learning music from The Two Towers. The conductor, Mr. D., tried to select a wide variety of music, including film scores from newer movies like LOTR and Pirates of the Caribbean. I am forever indebted to his open-mindedness, because some of the other musicians were not too keen on Rohan's theme or the March of the Ents. ;) For me, it was a turning point. Now, that's not to say that I won't come to any more "revelations" during the rest of this year. I just wanted to share some things that have been on my mind lately - lessons learned, if you will - not about books specifically, but about reading itself: as a process, a journey, and a joy. Jack London's squall-infused, sickness-filled, Snark-y voyage is a sailing classic and product of its time, for better and worse. Compare his tongue-in-cheek narrative with his very real sufferings, his sympathetic view of Molokai versus his feelings of white superiority, or his socialist convictions with his celebrity lifestyle, and you'll find a fully flawed, yet vivid memoir with plenty of takeaways. I would have liked to hear more about his small crew, which is why Penguin was smart to include some excerpts from Martin and Charmian in the back. Overall, an educational adventure into the South Pacific of the early twentieth century. Don't get me wrong. I really enjoyed The Remains of the Day, and An Artist of the Floating World is one of my all-time favorite novels. I appreciate Ishiguro's writing in its most subtle and emotive form, which is what I came to expect from those two books. Like The Buried Giant, however, Nocturnes ended up disappointing high hopes. This collection is subtitled "Five Stories of Music and Nightfall," yet the first three stories are really rehashes of the same plot, which is more about marital discord (no pun intended) than making music. The best of these three (though admittedly the most dismal) is "Malvern Hills," a peek in the life of two folk musicians and their joys and sorrows. As for the last two stories, though the relationship problems took the backseat, the main storylines were not all that intriguing and rather anticlimactic. Today I unpack three of Arthur Miller's most famous plays: All My Sons, Death of a Salesman, and The Crucible. C. S. Lewis's space trilogy has been on my reading list forever. Well, at least since I joined Goodreads, which was 2012. 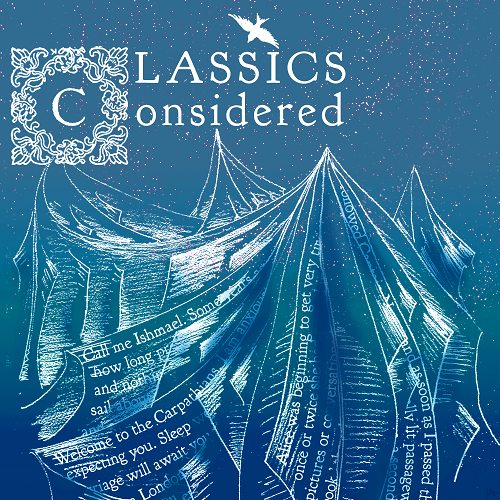 This year I've finally read it, and I posted a podcast review of the first two books over on Classics Considered. Check it out and let me know what you think! C. S. Lewis wrote a science fiction trilogy? You bet he did. In this episode, we'll go over the first two books, Out of the Silent Planet and Perelandra. This gorgeous Vintage Classics Jane Eyre was on my wish list for a while, so when the price lowered on Amazon, I thought I'd better seize the opportunity. (For anyone who's interested, it's still a pretty good deal right now!) I read Jane Eyre two or three times as a tween/teen, but that was...well, some time ago. It's long overdue for a reread. Stendhal's The Red and the Black is a book I know little to nothing about, but it's been on my radar as a French classic I should read. Found it in the local thrift store for a deal, and in really good condition. I just love Penguin Classics paperbacks. 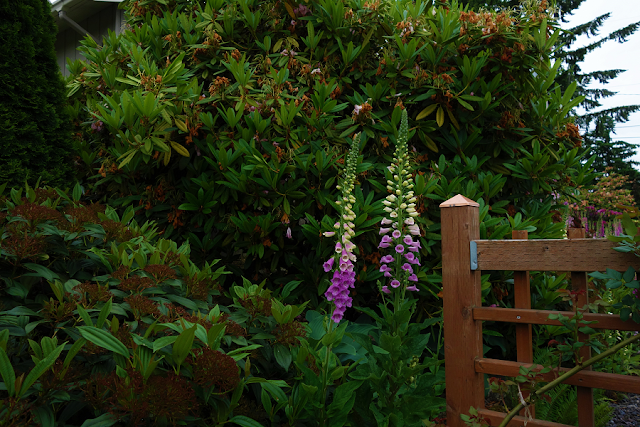 It's been a while since I gave a personal update, and now it's summertime I feel things are slowing down enough to blog (yay!). Took a volunteer job for a four-day weekend outdoors. Very stressful, but I learned a lot from the challenge.Went on an elimination diet for several weeks. It didn't help my skin issues, but I lost some weight(! ).Mentored (and continue to mentor) new employees at work. On this voyage through classic literature, we join Humphrey van Weyden and follow his struggle to survive on the ominous ship The Ghost. At one point I mistakenly imply I rated the book 3 stars. (I actually gave it a 4.) I apologize for the amount of background noise. It may have been the chair I was sitting in - I'll try to improve the setup next time around. Have you read The Sea-Wolf (or other similar sea stories)? Let me know what you thought of it! Today's episode delves into WWI history with the life and writings of T. E. Lawrence. Mack, John E. A Prince of Our Disorder: The Life of T. E. Lawrence. Brown, Malcolm. Lawrence of Arabia: The Life, the Legend. Apologies for the lateness of this. Please comment with any thoughts or reviews you'd like to share! These were May's stories, following the Chronological Challenge. If you are on a different schedule, though, feel free to chime in with what you read in May! Week 20: "A Scandal in Bohemia"
Week 21: "A Case of Identity"
Week 22 (May 28-Jun 3): "The Greek Interpreter"
For this week's topic, I talk about my favorites from classic literature and why I may give up having "favorites" in the future. ...I've started a podcast! It's going to be a weekly discussion of classic literature, kind of like this blog (but kind of different). The first episode is a review of We, which I read about a month ago and wanted to save for this moment. Please check it out here, and let me know what you think: Classics Considered: We vs. Me - Episode 1. The whole concept of a classic lit podcast has been in my mind lately. I've enjoyed non-literary shows like Ear Biscuits and This Developer's Life, as well as book reviews by various vloggers on YouTube. As I began to see the value in a conversational format (no lectures here), I also found my interest in reviewing to be renewed. Maybe it's the challenge...writing is almost as easy as breathing, but I get extremely nervous behind a microphone. It forces me to think more quickly and face my limitations as a speaker. It's also (as I'm finding out) lots of fun! This will be my first year participating in Dewey's 24 Hour Readathon! It's been on my radar for a while, but I'm usually too busy (or think I'm too busy). This year, the timing is right, as I've already got a ton of "currently reading" books on the shelf. I'll be posting updates on my Instagram and perhaps some reviews to follow afterwards. Let me know if you're also participating! Not aiming too high, but I hope to finish some of these. My first attempt to read this book was on a plane, four years ago. I had been going through some tough times, and as I plodded through the first fifty pages, my mind kept wandering. I grew tired of the apparently carefree protagonist - who had the romantic name of Amory Blaine - and ultimately tossed this to the Not Finishing stack with a single comment: "Weird book so far." Having finished the book now, I would word it a bit differently: "Weird book, but oddly rewarding." If you are a reader who can love a book for the sake of its writing, This Side of Paradise is just your sort of book. It is written in a series of vignettes and takes place over the course of Amory's childhood, youth, college years, and early adulthood. Much like the crisp narrative of The Great Gatsby, each scene has its own particular mood and brilliancy, and the effect is a chocolate box of impressions, some bitter and some sweet. For those following along on my Sherlock Holmes challenge - and for any who still wish to join! - I've decided to change things up a bit. Instead of weekly link-ups, I'll be posting monthly check-ins, open to any and all Sherlock Holmes stories you have read in the month. This will help me manage the posts better and also remove the dependency on the link-up widgets (which, while useful, can cause extra load time on the blog). Week 13 (Mar 26-Apr 1): "The Naval Treaty"
Week 14 (Apr 2-8): "The Crooked Man"
Week 15: "The Five Orange Pips"
Week 16: "The Noble Bachelor"
Sherlock Holmes: "The Second Stain"
This week's Top Ten Tuesday topic is: ten books to read this spring. *** 4. The Divine Comedy, by Dante: This is such a hard one to read (comprehension-wise), but I'm trying. *** 5. The Complete Short Stories, by Franz Kafka: Another to-finish!